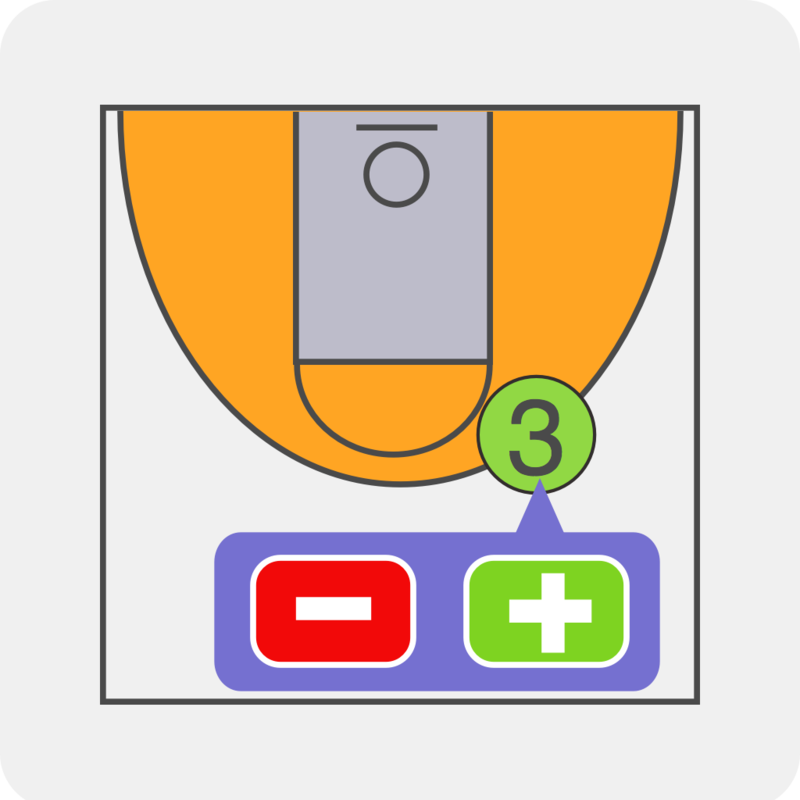 Fouls can be counted per team and the app can indicate bonus shooting situations based on the foul counts. Typical games have a single bonus when the opponent has 7 or more fouls and double bonus when the opponent has 10 or more fouls. The bonus is indicated by yellow indicators under the scores. In the above example the home team is in single bonus as the opponent has 7 fouls and the opponent is in double bonus as the home team has 10 fouls. Typically these values get reset at half time. You can adjust the rules for the bonus situation in the game details. Select the "Fouls" to see the details. Bonus foul - the minimum value to display at least one bonus light on. Defaults to 7. Double Bonus foul - the minimum value to display both bonus lights on. Defaults to 10. Foul Display limit - the maximum fouls to display in the foul counter. Defaults to 10. Team Fouls reset - when the values return to zero and start counting again. Defaults to half. Player foul limit - the max fouls a player is permitted. There will be an indication on the player when the limit is reached.